With its official opening on May 31, 1997, the Confederation Bridge is located in the Abegweit Passage of the Northumberland Strait and links together the provinces of Prince Edward Island and New Brunswick. The two-lane highway toll bridge is eight miles long and it is the longest bridge in the world that crosses ice-covered water. The majority of the bridge is 40 meters above water, with a 60 meter high navigation span for traveling ships. The speed limit on the bridge is 50 miles per hour (80 km/h) and takes approximately ten minutes to cross. Prior to the construction of the Confederation Bridge, people wanting to visit Prince Edward Island had to travel by ferries. Located in Edmonton, Alberta, the West Edmonton Mall is the largest shopping mall in North America and the fifth largest in the entire world. It was previously the world’s largest mall from 1981 until 2004. With an area of over six million square feet, the mall contains over 800 stores and services, along with over 23,000 employees. There is also parking for more than 20,000 vehicles. With over 28 million visitors each year, the mall offers many theme parks and attractions, such as Galaxyland, World Waterpark, Marine Life, Ice Palace, Putt n’ Glow and Deep Sea Derby, just to name a few. They also have numerous nightlife and dining options, such as the Cactus Club, Edmonton Event Centre, Empire Ballroom, Jubilations Dinner Theatre, Palace Casino and other lounges. We also can’t forget about their three theaters, along with endless other attractions, like the Caesar’s Bingo, Centre of Gravity, Skateboard Park and the Fun House & Haunted House. Hopewell Rocks Provincial Park at low tide. The Hopewell Rocks are rock formations caused by tidal erosions located on the upper shores of the Bay of Fundy. Specifically, they are located at Hopewell Cape, which is near Moncton, New Brunswick. The base formations of the rocks are covered with water twice daily, but can also be seen from ground level at low tide. With tides sometimes as high as 52 feet, the Hopewell Rocks are home to one of the highest average tides in the world. Also in the area is Fundy National Park, which has approximately 110 kilometers of hiking trails, 40 kilometers of mountain biking trails, along with numerous camping areas. Saint Joseph’s Oratory is a Roman Catholic basilica located on the west slope of Mount Royal in Montreal, Quebec. Construction began in 1904 by Saint Andre Bessette, but later had to be enlarged due to the number of visitors. The Oratory’s dome is the third-largest in the world, next to the Basilica of Our Lady of Peace of Yamoussoukro, which is located in the Ivory Coast, and Saint Peter’s Basilica, which is located in Rome. Saint Joseph’s Oratory is the largest church in Canada. Brother Andre has reportedly healed many visitors who came to the Oratory. Thousands of crutches are on display in the basilica by visitors who were healed. The Oratory also contains Brother Andre’s heart, which he requested to remain in there as protection of the basilica. With a seating capacity of 1,000, Saint Joseph’s Oratory receives over two million visitors and pilgrims each year. The Oratory was featured in the 1989 film “Jesus de Montreal” and is also used as the picture representing the city of Montreal in the game “Monopoly: Here and New: The World Edition”. Located on the eastern shore of Lake Louise, near Banff, Alberta, Chateau Lake Louise was originally built in 1890. Built by the Canadian Pacific Railway, Chateau Lake Louise is “kin” to the Banff Springs Hotel and the Chateau Frontenac. With a lake located in front of the hotel and a mountain glacier behind it, the view is absolutely breathtaking. The area around the hotel is part of Banff National Park, which is also declared a World Heritage Site by UNESCO. Since 1982, the hotel is opened year-round and offers endless activities for nature lovers, including hiking, canoeing, skiing, snowboarding, ice skating, ice sculpture contests, snowshoe excursions and sleigh rides, just to name a few. This top Canadian tourist destination has been visited by Christopher Reeve and Marilyn Monroe. Located in Ottawa, Ontario, Parliament Hill receives approximately three million visitors every year. The Hill was originally used by First Nations people, followed by adventurers and traders who would congregate there during their travel. The site was also used as a location for a military base, called Barrack Hill. With an area of 88,480 square meters, Parliament Hill rests between the Ottawa River (north), the Rideau Canal (east) Wellington Street (south) and Kent Street near the Supreme Court (west). Parliament Hill has some incredible architecture, including the Centre Block and the Peace Tower. Known as a major mountain range in western North America, The Rocky Mountains extend more than 3,000 miles between the state of New Mexico in the United States and the province of British Columbia in Canada. The Canadian Rocky Mountains range from British Columbia to Alberta. Unlike the American Rockies, the Canadian Rockies are made up of shale and limestone. 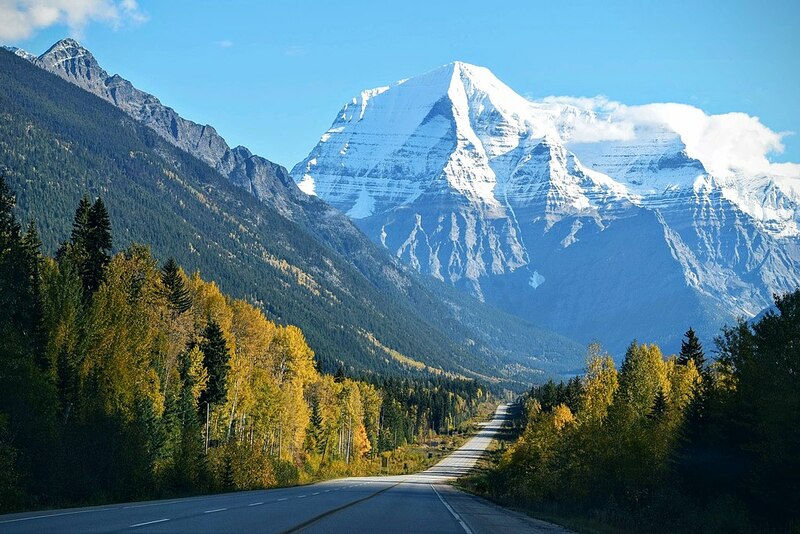 The Canadian Rockies are also known for their high peaks, such as Mount Columbia, which is 3,747 meters high and Mount Robson, which has an elevation of 3,954 meters. Four national parks that are located in the Canadian Rockies are part of the World Heritage Site. These parks are Banff, Kootenay, Yoho and Jasper. There is another park, called Waterton, which is not part of the World Heritage Site. Located in Toronto, Ontario, the CN Tower is a communications and observation tower, which is used by radio and television stations. Built in 1976, it is an astonishing 1,815 feet tall. For 34 years, it held the record for the world’s tallest tower and tallest free-standing structure until Burj Khalifa in Dubai and Canton Tower in Guangzhou were built. It is still, however, the tallest free-standing structure in the Western Hemisphere. With the tower being so incredibly tall, it attracts lightning and gets hit up to fifty times a year. The CN Tower attracts more than two million visitors each year. Many tourists take the elevator up to the SkyPod, which is the world’s largest observation deck, for a breathtaking view. The Chateau Frontenac is a grand hotel located in Quebec City overlooking the St. Lawrence River. The hotel was named after Louis de Baude, Count of Frontenac. He was the governor of the colony of New France from 1672 to 1682 and again from 1689 until 1698. The Chateau Frontenac first opened in 1893, five years after its sister-hotel, the Banff Springs Hotel, opened in Banff National Park, Alberta. Alfred Hitchcock’s drama film “I Confess” was filmed at the hotel in 1953. Princess Grace, Winston Churchill and Theodore Roosevelt also visited the hotel. With over 600 rooms and suites, the Chateau Frontenac holds the Guinness World Record as “the most photographed hotel in the world”. The Niagara Falls are situated on the Niagara River which lies on the border of the province of Ontario and the state of New York. The Horseshoe Falls are located on the Canadian side of the border. The Niagara Falls are the most powerful waterfall in North America with an average of 4 million cubic feet of water falling over the crest line every minute. The Horseshoe Falls dispense 90% of the water from the Niagara River and are also a valuable source of hydroelectric power. The Niagara Falls are a huge tourist attraction with approximately 30 million visitors each year. In the evenings, there are floodlights which light up both sides of the falls until midnight. Many tourists also take a boat cruise, named Maid of the Mist, which carries passengers below the falls. I’ve seen 5/10 so far. I work right near the CN Tower, the air is pretty green though, I call Photoshop. i would like to thank you for this great research you have done for the community. I have now been deeply hurt by how this wonderful landmark has been changed by modern technology. Again, i thank you for this finding. I think I need to see more of my country. Great list. You live in Canada? What is it like? Anyway, great list Jocelyne! What is it like? in what way? Nothing from B.C? Come On! Pretty good list. Definitely, think Chateau Lake Louise should have been higher on the list, and there are some important facts you missed about other landmarks. So actually, not pretty good, more like half average. I find this list has the best order with the selected landmarks, but that the list is definitely missing some of the biggest landmarks in our country, such as water land, walltopia, and chipmunks cove.